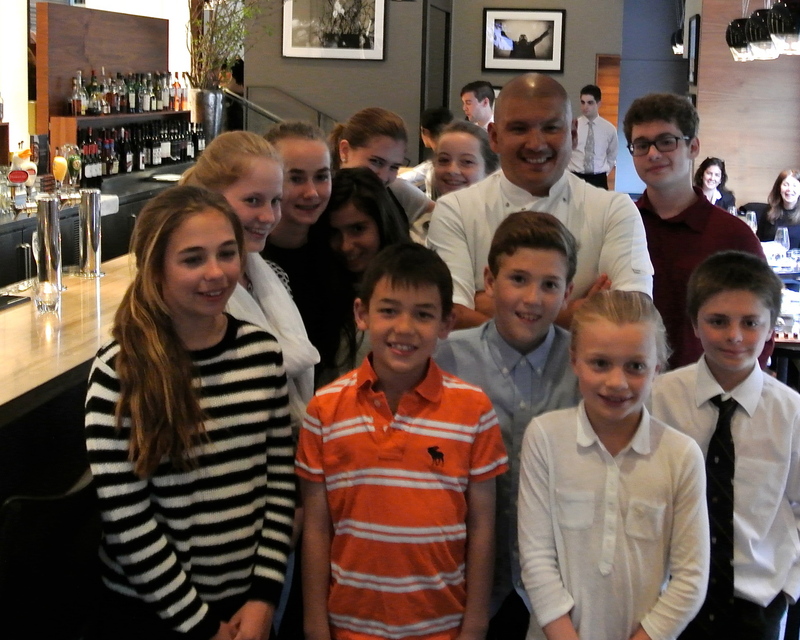 It’s not very often when one of Canada’s most celebrated chefs invites a group of kids to one of the country’s best restaurants. 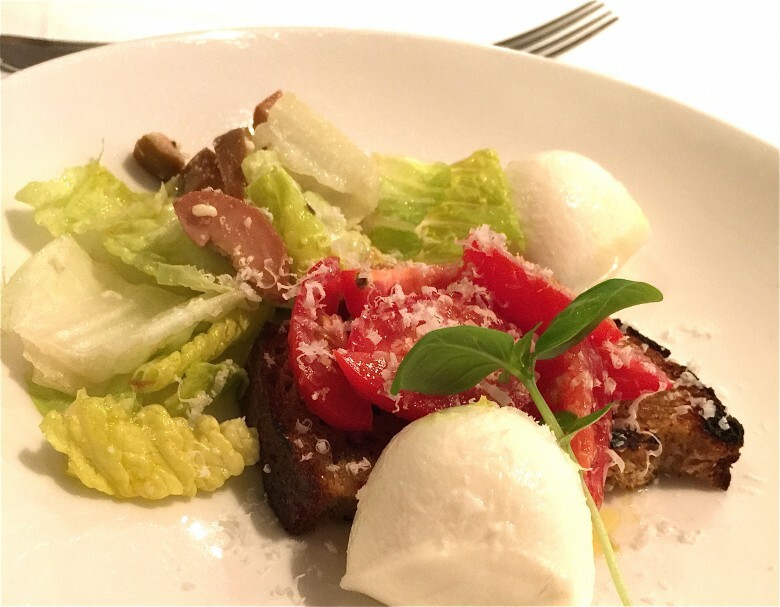 Chef David Lee, of Nota Bene, did just that last week. 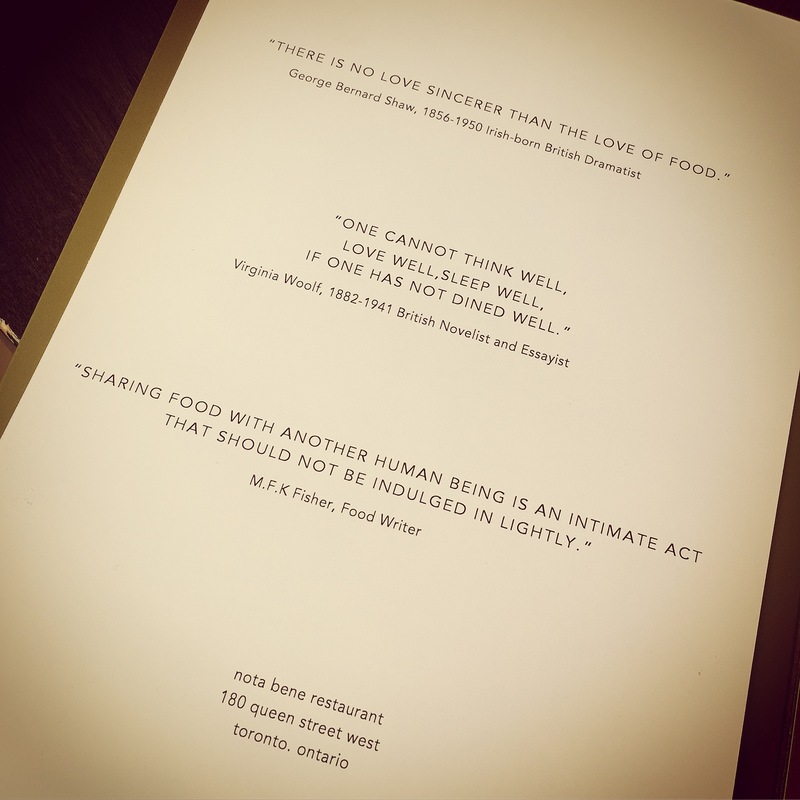 Nota Bene, #9 on the Canada’s 100 Best Restaurant list, a restaurant loved and adored by the country’s top food critics and gourmands. So, imagine a group of kids, sans adults, dining in this establishment… people were wondering what was going on. 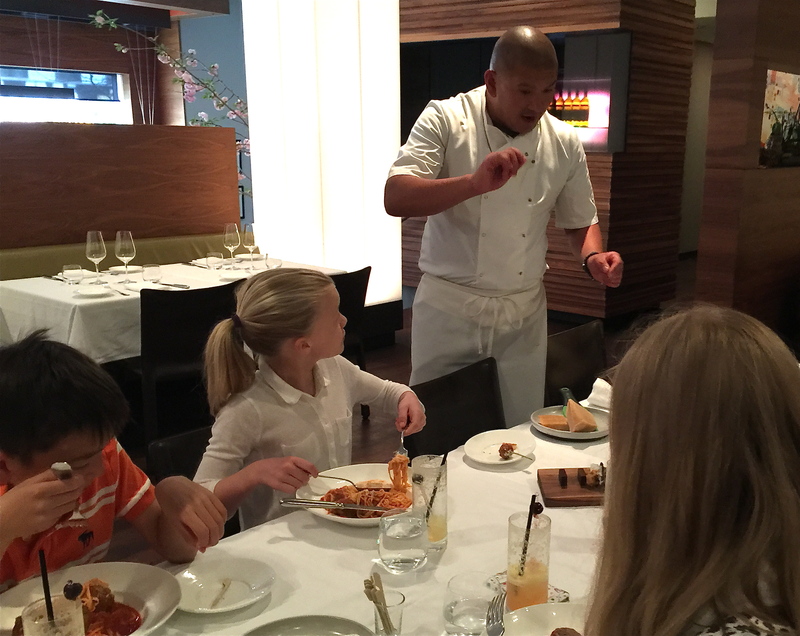 Chef Lee hosted the children’s Ambassadors of Kids Cook To Care (KCTC), a non-profit organization that brings top tier chefs in the city and kids together to cook for communities in need. Chef Lee wanted to host a special dinner at his own restaurant in recognition of the work they’ve done over the past year. The kids were already on the working roster of KCTC but an open application for a spot at Nota Bene had to be completed a month in advance. Kids had to submit their application along with their volunteer efforts for consideration. No parents were allowed at the table. It was a chance for Chef Lee to let the kids be themselves and really reward them for all their volunteer efforts. His menu was perfect, full of items that were “upgrades” on kid-friendly favourites but also offered things they may not have ever tasted. A few kids paused at the crispy nori fish tacos but they all tried it and raved! Caprese salad was devoured and the buttermilk fried chicken was way better than anything we would pop in the oven at home. Fresh made pasta with the most succulent meatballs was comfort food bliss as Chef Lee came out of the kitchen himself to grate the fresh Parmagianno for the kids. “That was the best pasta I’ve had in my life!” said one child when I asked him what he thought about the meal. Adorably enough, most kids had no idea that they were served by one of the most highly respected chefs in the country. “Hey, are you the chef?” one child asks. “You make pretty good food.” I think Chef Lee loved the innocence and honesty of the kids at this event. Rewarding in so many ways. What I noticed was that the kids were not tucked away into a corner but at a long table front and centre for patrons to walk around. A true sign of a Chef who has strong belief in the importance of kids being involved. I also noticed that not too many of the kids had their smartphones out. Chef Lee also checked in several times with the group answering any questions they had and giving the kids morsels of interesting information about cooking! Chef Lee was the first chef in Toronto to be involved with KCTC and, for him, cooking at a shelter with kids was a great experience. The kids have an interest in cooking but also lending a hand to help. Everyone learned something and even he was surprised to learn just how much the kids knew about the ingredients. At this evening’s event kids even noted the taste of truffle oil and could recognize the the different cheeses! As a dad, Chef Lee loves to kick back at home and cook outdoors. And what’s his comfort food? Chicken Noodle Soup. What’s his four year old’s favourite dish that daddy makes? Fresh Pasta, Fish and Broccoli. KCTC arranges monthly community meals in various locations involving well-respected chefs and kids. They cook for those in need. I personally love this charity as the kids are taught that regardless of circumstances, everyone deserves really good food made with really great ingredients. Chefs volunteer their time to create a dinner menu and lead the kids in the memorable experiences of giving back.